On December 29, in the main event of UFC 232, UFC women’s bantamweight champion Amanda Nunes will move up to the 145-pound featherweight division to battle UFC women’s featherweight champion Cris Cyborg. 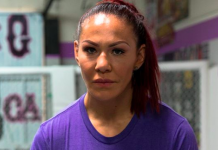 In the eyes of former UFC women’s bantamweight champion Miesha Tate, who lost to Nunes in a July, 2016 title fight, Cyborg should win this fight. 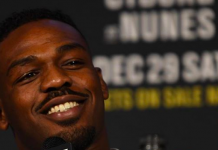 That being said, Tate feels Nunes has the kind of power to make this fight interesting. In fact, she believes Nunes has enough firepower to put Cyborg down if she connects properly. 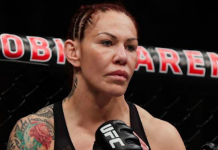 “I obviously think Cyborg is going to win, she is the woman to beat and until I see something largely monumental going against Cyborg, she is pretty much going to be the one I always pick against any other woman on this planet,” Miesha Tate said of this Amanda Nunes vs. Cris Cyborg fight on Ariel Helwani’s MMA Show (transcript via MMAMania). 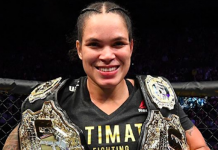 Do you think Amanda Nunes can end Cyborg’s incredible win-streak with one big punch?